The 19th-century newspaperman Joseph Pulitzer is credited with being the father of modern journalism—an essential component of democracy. 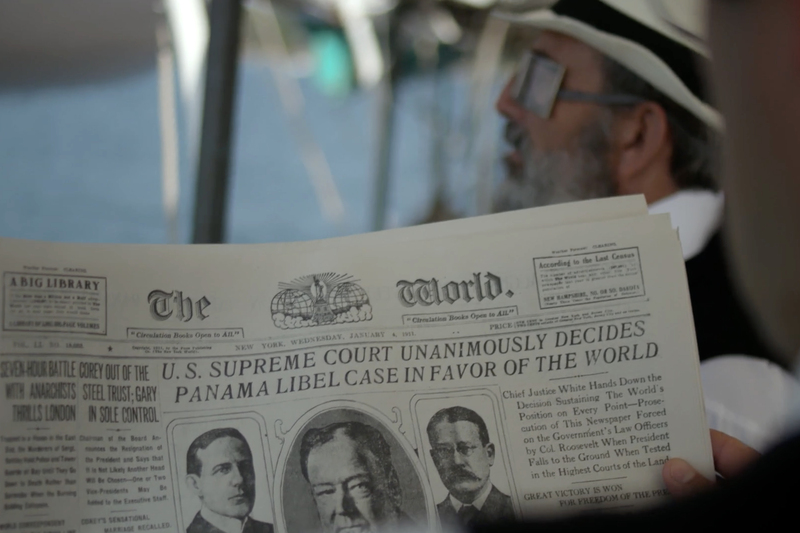 Joseph Pulitzer: Voice of the People—a multi-award-winning documentary set to air on the PBS American Masters series starting April 12 and available for streaming all month—tells the rags-to-riches story of 19th-century newspaperman Joseph Pulitzer, widely considered the father of modern journalism. The World, the daily newspaper Pulitzer produced, featured bold compositions and colorful illustrations. Rather than constructing a linear narrative, the filmmakers begin with an interview featuring writer Nicholson Baker (who bought the entire World newspaper archive at auction) and ends with a montage of contemporary moments highlighting the importance of journalism in our culture. These unexpected segues are typical of the films Rivera-Moret takes on. The project was challenging, Rivera-Moret admits, because he had limited archival material with which to build the narrative arc and show the fast-paced world of late 19th-century journalism. Acclaimed cinematographer Robert Richardson 79 FAV earns new accolades for his work on Hollywood’s most memorable films. FAV Professor Dennis Hlynsky 74 FAV remains fascinated by filming birds in flight—as a new exhibition at Essex Art Center in Lawrence, MA reveals.